This year has been a quick one. 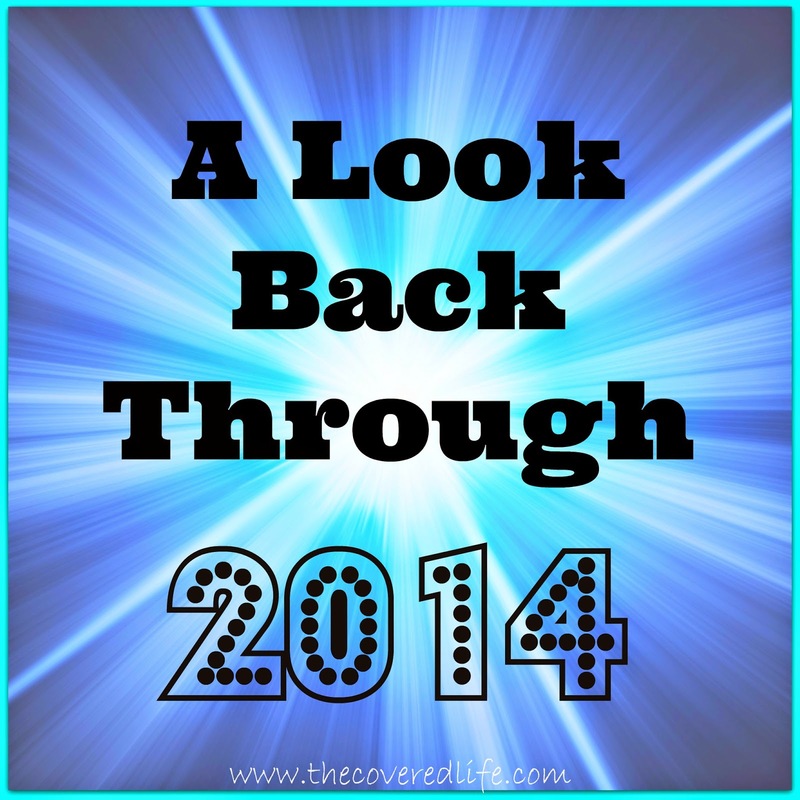 As I think back to posts I've written and how the year started, I can't believe twelve months have actually passed. 10- Daycare A Traumatic Event-Posted June 20... in which I share how traumatic the experience was for me to drop my son off at daycare for the first time, for him, not so much. 9-The Power of Words - Posted May 7... Oh how our words have the power to build up or to tear down! This one has great scripture references about our words and how we should use them as well. 8-Being Single Really Isn't Bad - Posted January 10... As someone who wasn't married until I was 30, I totally get the pressures the world, well meaning older folks and even your parents can put on you about marriage. And though I love my husband and son and wouldn't trade them for the moon, being single really isn't that bad. 6-Expectations Can Be Dangerous - Posted January 21... I had such grandiose ideas of what marriage would look like and the type of wife I would be, only to be disappointed when I didn't live up to this false expectation I had set. And if we aren't careful those expectations can become idols that we focus on more than Christ. 5-How to Deal With Difficult People - Posted March 5... This is one I have to reread myself every so often, because the simple fact of the matter is that difficult people are everywhere. And the Bible provides such great instructions on dealing with them and hopefully keeping yourself from becoming a difficult person yourself! 4-Birthday Party Pinterest Style - Posted April 29... This is pretty self explanatory, but I wanted to provide a post that may provide ideas for others who are planning birthday parties. And this has obviously been one of my most pinned posts on Pinterest as well- mainly because of the amazing Birthday cake! 3-Uninhibited Worship - Posted February 7... This is one of my personal favorites and I believe a glimpse of what worship in heaven will look like- completely uninhibited! The Ugandan Thunder is an amazingly talented group of children from Africa who are amazing worship leaders- I highly recommend that you invite them to your church- you will not regret it! 2-Total Surrender-Part 3 - Posted February 28... This one is ongoing still. I struggle with glutony and I consistently pretend that God doesn't care about what I eat but that is absolutely a lie. I fear that I surrender this area of my life to God half-heartedly which means not really at all and I take it back upon myself to decide what is best for me. Continued prayers for this area of my life would still be much appreciated. And I suspect it is my second most popular post, because it is also a struggle of so many others. And as such I will continue to pray for those who read it and myself for complete and total surrender. 1- Jamberry -Posted September 3... This post is where I shared my designs for local sports teams. It is also a very highly pinned post. I toyed with the idea of taking it down many times, but if Jamberry brings someone to my site from Pinterest or Google, then perhaps they will click on another post and be exposed to the Gospel. So there they are, my top ten posts. At this time I want to say thank you to those of you who do faithfully read my ramblings. Thank you to those of you who have told me you read them, or you love the blog, or any words of encouragement that you have spoken, even if it's to let me know that you were encouraged by something I wrote. I try to stay true to what I feel is laid on my heart and believe me when I tell you some posts are chewed on for days before they ever get published. And most probably all are the lessons I've learned from going through the exact thing I'm writing about. Thank you for sharing the link, thank you for visiting, thank you for listening. I hope 2014 was good to you. And I wish each of you a very Merry New Year and a Happy 2015!